ARE YOU READY TO CONQUER? 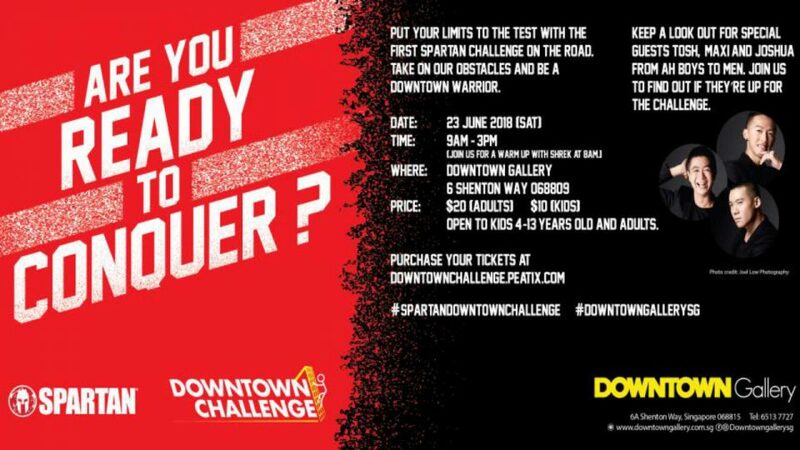 Downtown Gallery and Spartan Singapore present Downtown Challenge, Singapore's first Spartan obstacle course on the road. Open to adults and children, Downtown Challenge has two sets of six obstacles over a course of 200 meters along Shenton Way. Admission fees include a door gift, event t-shirt and a $10 cash voucher that can be used at stores in Downtown Gallery. Finishers will receive a special Downtown Challenge finisher dog tag.